We are always here to help ! Want to help prevent water damage in your home? 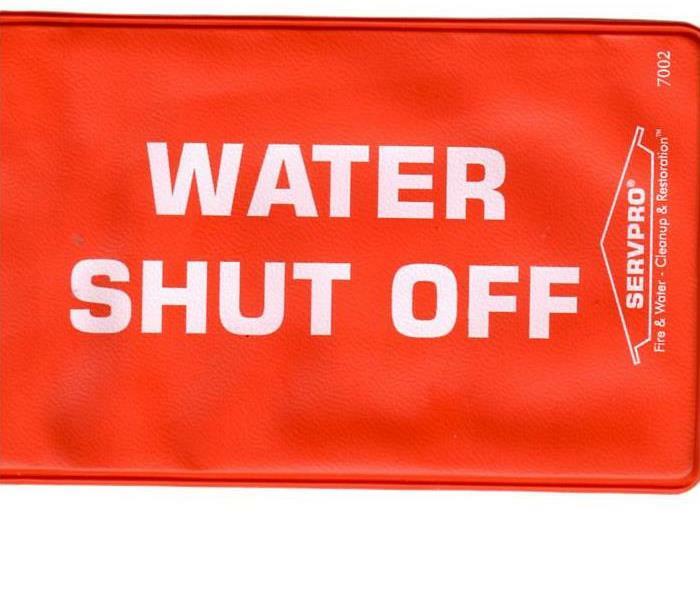 Call SERVPRO at 716-694-7776 for a FREE Water and Gas Shutoff Tag! Know where to shut off the source to avoid large amount of water and damage to your home! Microbial growth needs three components to grow: organic materials, moisture, and heat. 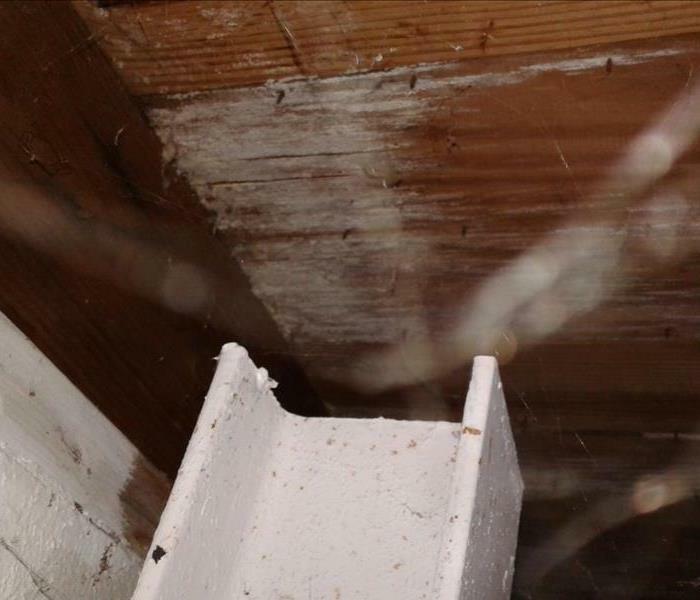 The crawlspace is subject to all three, making it vulnerable to mold growth, along with the location of the crawlspace. One of the most common causes of a sump pump failure is power outages. With all the snow and wind storms we've been experiencing, it's very likely WNY will see a higher volume of power outages this season. When you have a sump pump failure due to a power outage, you are put at high risk for a basement flood when it rains or snows. 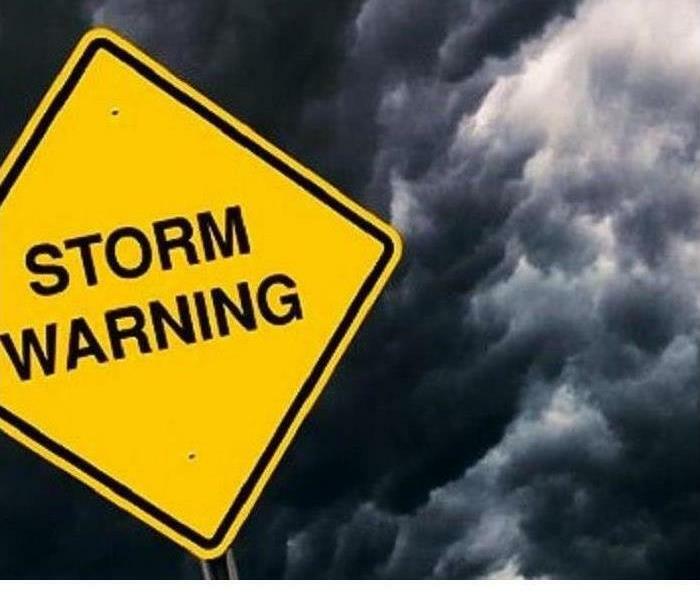 You can prevent this from happening by purchasing a back up generator just for your sump pump that you can turn on manually when a power outage strikes. 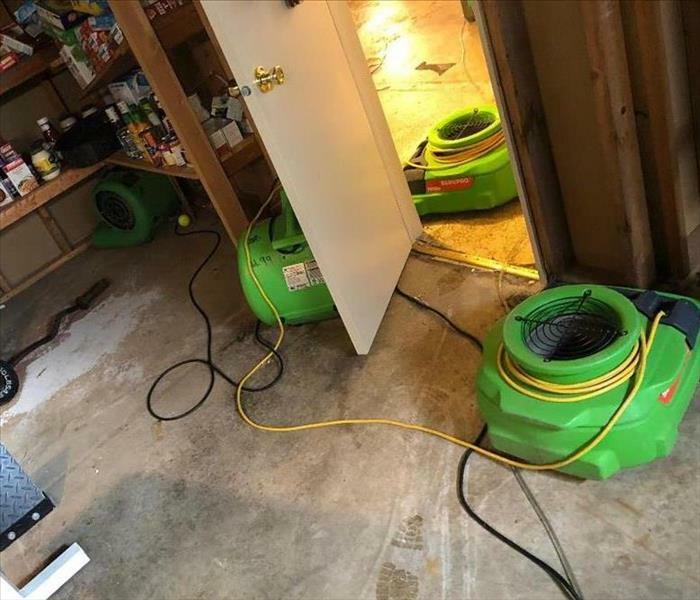 If you don't have a back up generator and are now experience a flood due to sump pump failure, call us at SERVPRO of Eastern Niagara County today. We are open for emergency services 24 hours a day, 7 days a week and are Faster To Any Size Disaster. 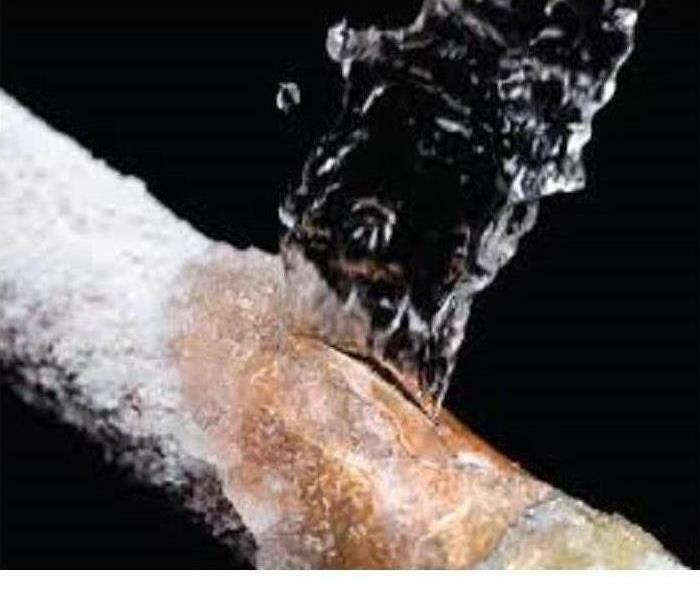 Winter is here , the fear of frozen and broken pipes are on the minds of many homeowners and maintenance people. These fears are a reality for many individuals who have faced severe damages in the past. When it comes to sudden disasters, it is all about response time. 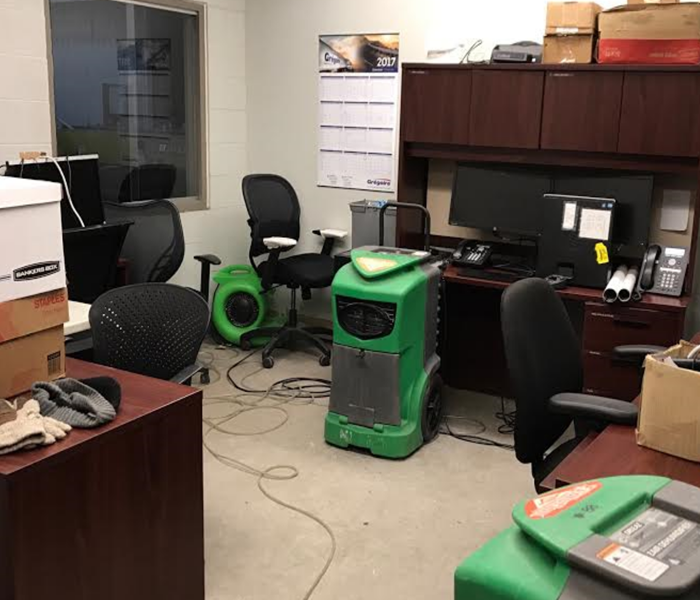 When a school or a manufacturer experiences extensive water damage, it has the ability to put them out of commission for an extended period of time. This is especially harmful to businesses as their profit is reliant on being open. If you need help NOW, call SERVPRO of Eastern Niagara County. We are available 24/7, 365 days a year. If the thought of dealing with your insurance provider has you stressed out even more, don't worry! We will work with your insurance company to help make everything run as smooth as possible. SERVPRO responded to this home and found significant mold damage. There was mold damage in the crawlspace. The team has the experience and professional cleaning equipment to assist in mold remediation in your home or business. They quickly began cleaning and tear out of affected area to ensure it was safe. SERVPRO can respond to any mold emergency in your home or business. The technicians are trained with special cleaning techniques and equipment used for clean up. The mold can grow quickly so it is important to ensure moisture and water is dry from the area. Our Crews arrived at a job where a pipe had burst in the wall . It caused damage in the ceiling in the room below. The ceiling was taken out and properly dried. 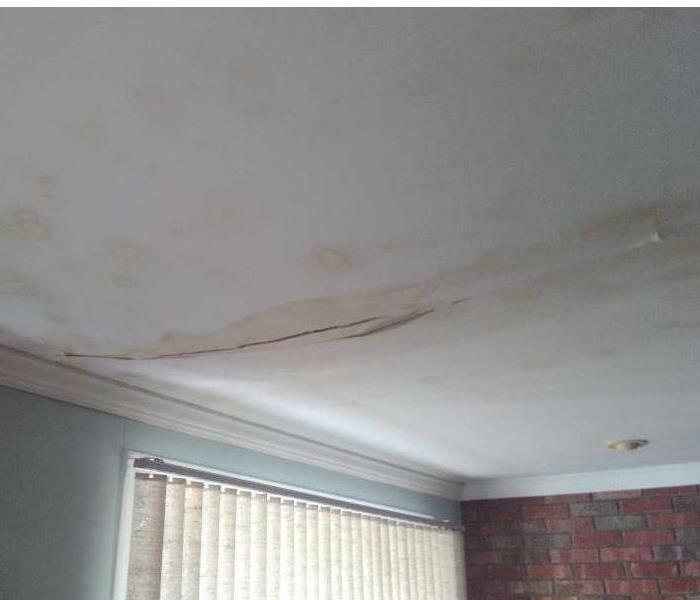 Water damage in your Western New York home’s ceiling can cause discoloration from the dampness to a complete disintegration of the material. 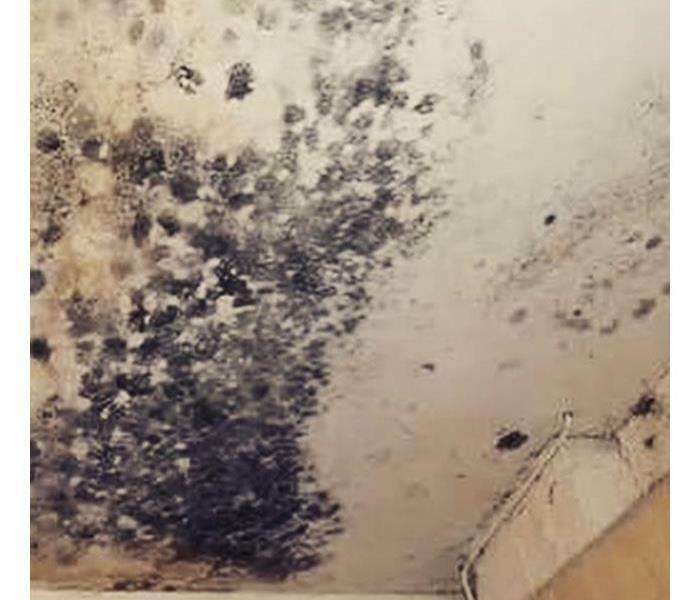 If this element remains wet for a few days, mold can begin to grow, which can be hazardous to the health of you and your family. 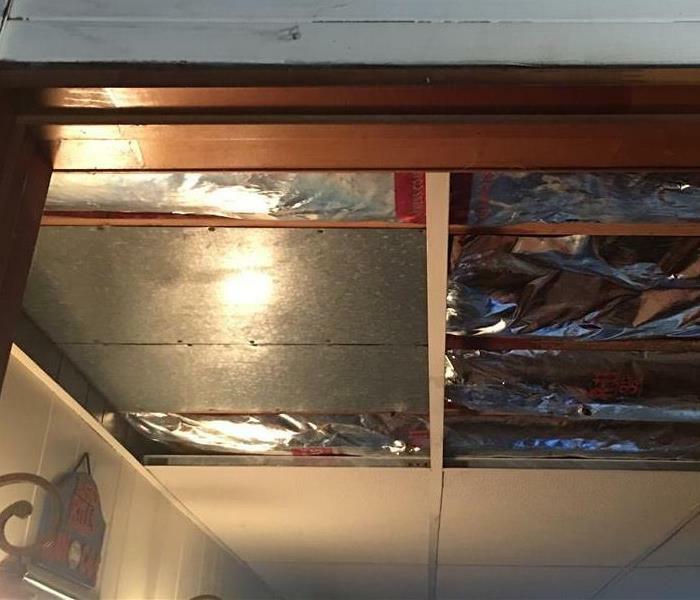 That is why it is important to handle water damage in your ceiling right away. 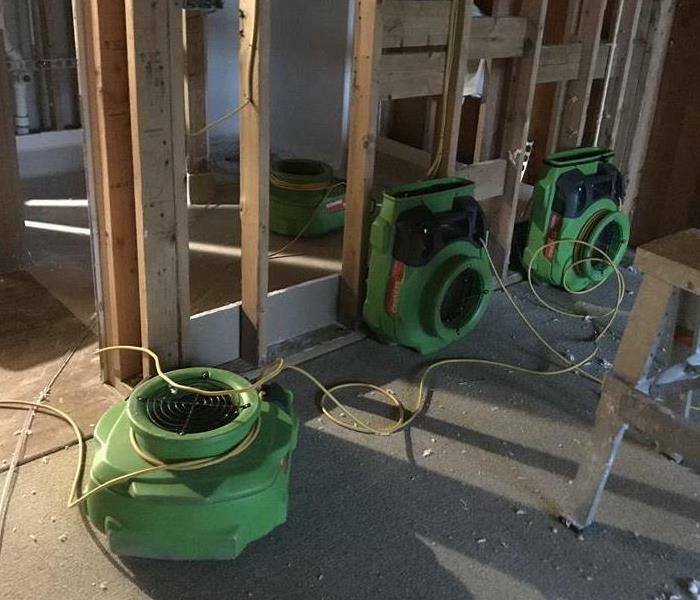 You need to get a hold of a professional water damage remediation company, like SERVPRO, who can properly repair the damage as well as dry out your home. 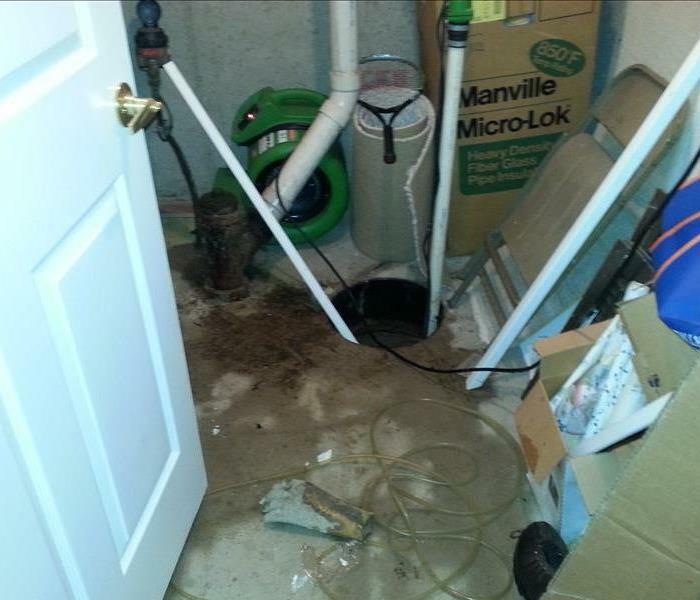 Our crew was called to a water damage clean up as a result of a sump pump failure. The water affected three rooms including the small closet with the sump pump. The water was properly extracted . 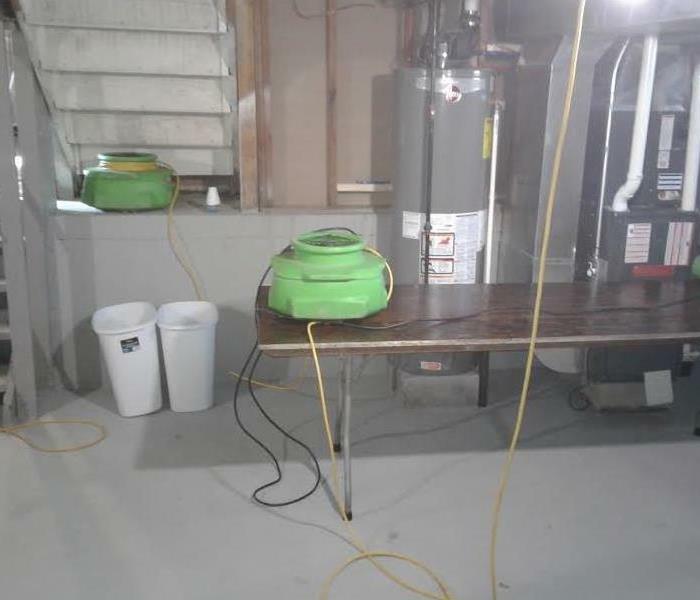 Fans and dehumidifiers were set up to ensure the area was dried up. The customer was very happy with efficient work done and the quick dry time. 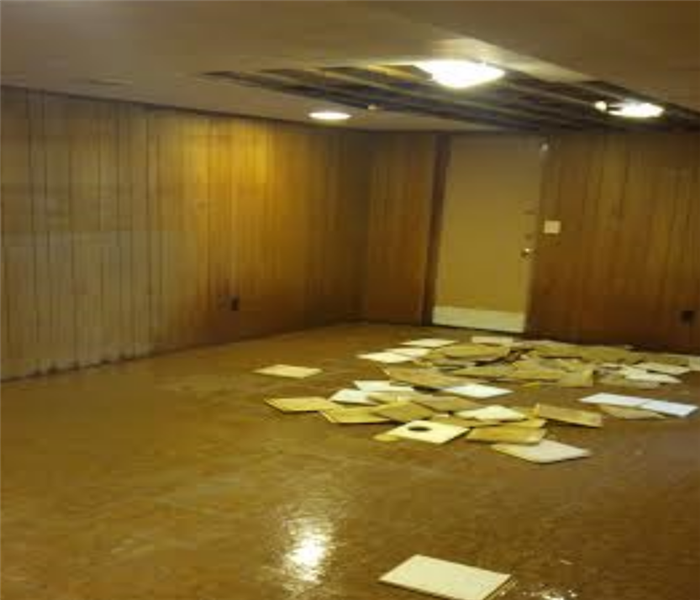 There can be many possible causes of water damage lurking in your home. They can originate from many different sources, with varying intensities, danger levels, and reach of damage. 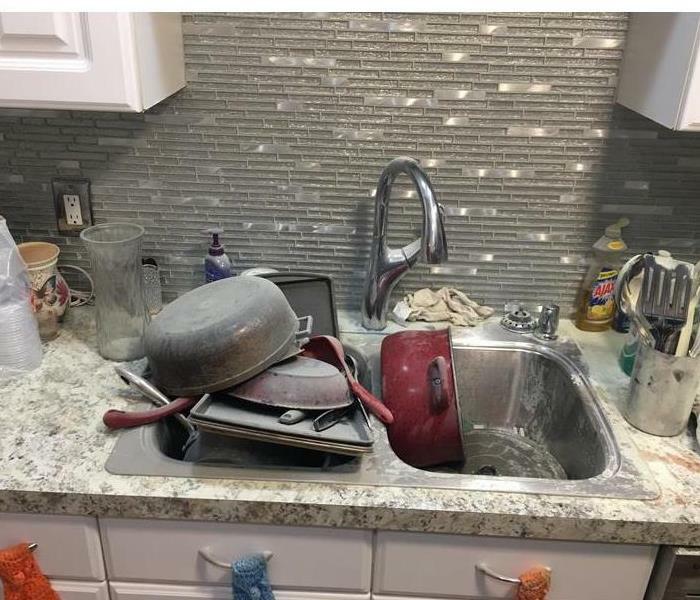 Even a well-maintained residence can have unexpected water damage including, a leaky dishwasher or sink, broken pipe(s), an overflowing washing machine, an old leaky roof, flood or storm damage and foundation cracks. 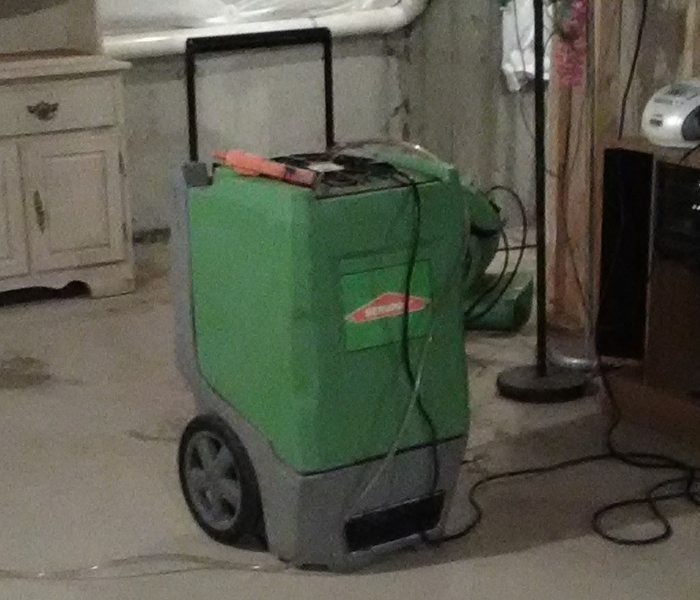 If you see signs that water damage is lurking in your home, SERVPRO of Eastern Niagara County always here to help! 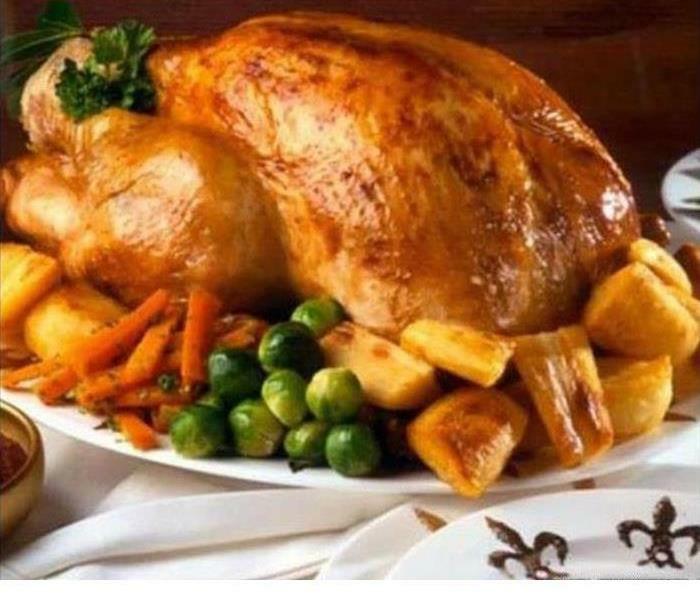 Did you know that Thanksgiving is the busiest day of the year for fire departments when it comes to home fires involving cooking equipment? With more home cooks cooking larger meals than they are probably used to, the number of home fires involving cooking equipment spikes to nearly 4 times the daily average on Thanksgiving! Whether you plan to be in charge of the kitchen or are just helping out, be sure to follow important safety tips when preparing this year's Thanksgiving feast! Make sure that when your building is vandalized to contact the police. In Texas, any form of vandalism resulting in less than $100 in property damage requires the vandal to pay a fine. If the vandalism results in $750 to $2,500 in damage, the vandal could end up facing up to one year in prison and up pay up to $4,000 in fines. Vandalism is a crime whether it was meant as a joke or done purposefully. 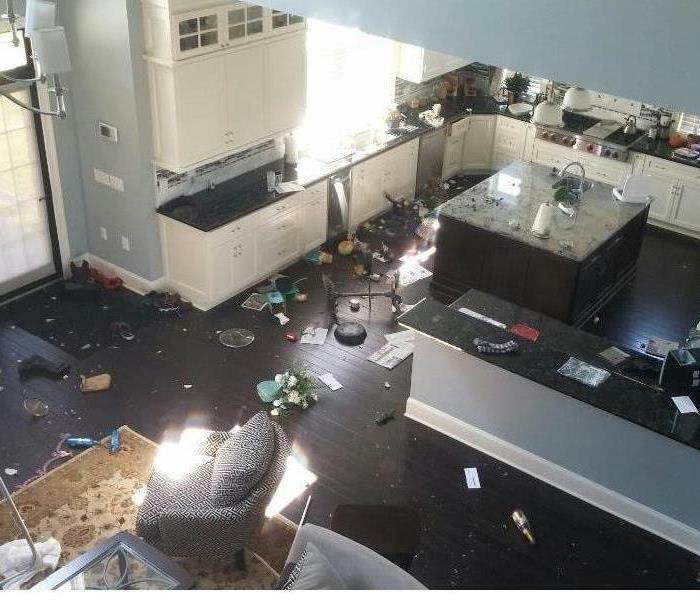 Always know that you are not alone in the clean-up, and be sure to call SERVPRO of Eastern Niagara County to clean up any vandalism that occurs. Don't Wait! Call us when you have water in your home! Water damage is something that happens all too often. Whether it's a broken pipe, leaking faucet, or someone left the water running. Anything can happen, disaster can strike at any time. Will you be ready when it does? Don't hesitate, give us a call in the event you find water in your home and like the picture shows we will get on site and begin the water mitigation right away! Flooding and water emergencies don’t wait for regular business hours and neither do we. SERVPRO of Eastern Niagara County provides emergency restoration services 24 hours a day, 7 days a week—including all holidays. 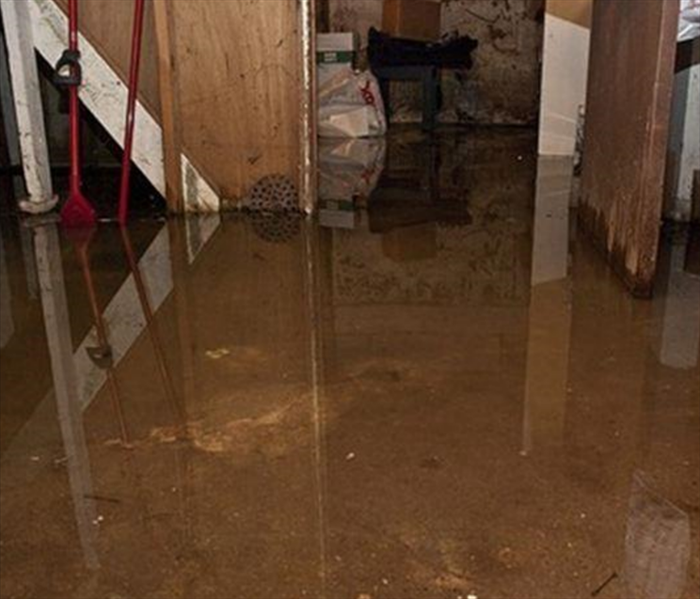 Unfortunately, basements are susceptible to flooding every time a strong storm hits. The intrusion of rain water is mostly from backyards flooding and sewer systems backing up. 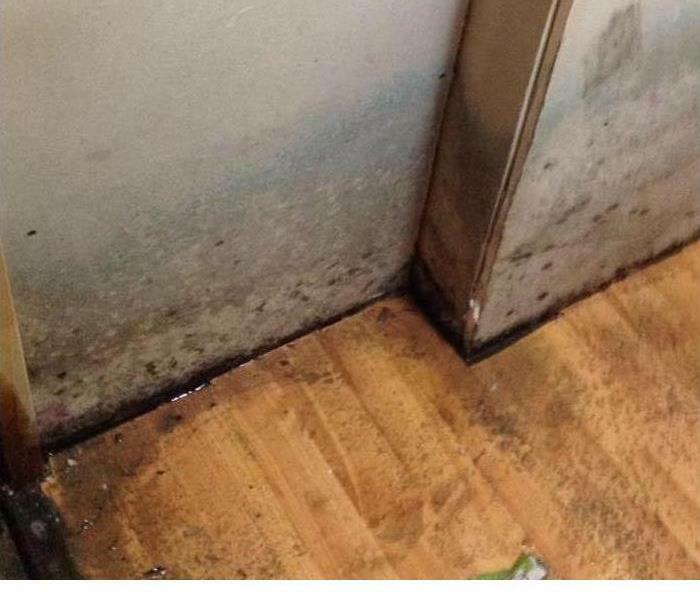 This water can damage walls and floors, destroy carpeting, ruin furniture, and lead to the possibility of mold. 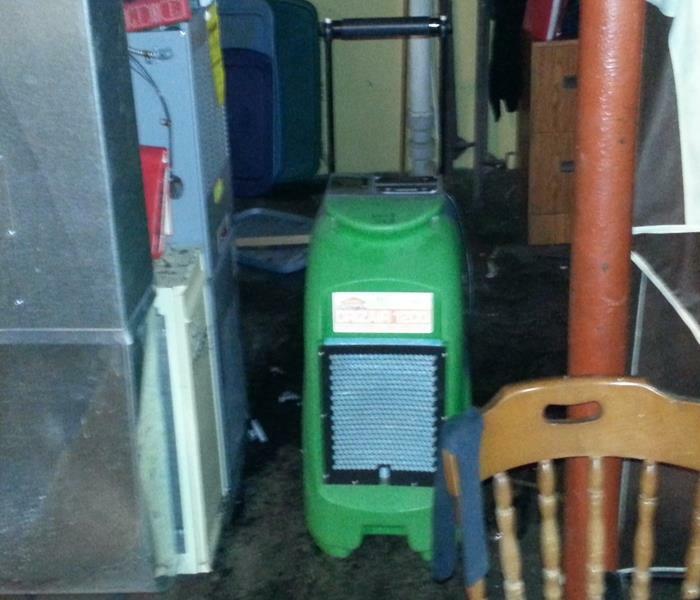 SERVPRO of Eastern Niagara County has over 30 years experience cleaning up water damages after storms have hit. 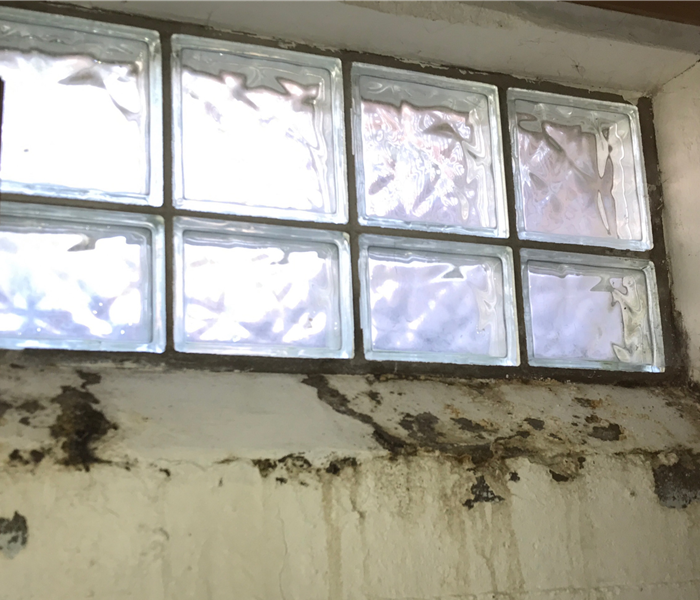 We understand the necessary steps it takes to properly extract the water and dry out the affected areas before mold creeps in. Several weeks passed before an empty office was checked after a water main break happened in the area affecting the crawlspace blow. Any home or commercial property can quickly become infested with mold, if a source of water is present. Mold can spread throughout a property quickly. Since mold can produce allergens and irritants, you should call us to inspect your business or home if you suspect you have a mold problem. 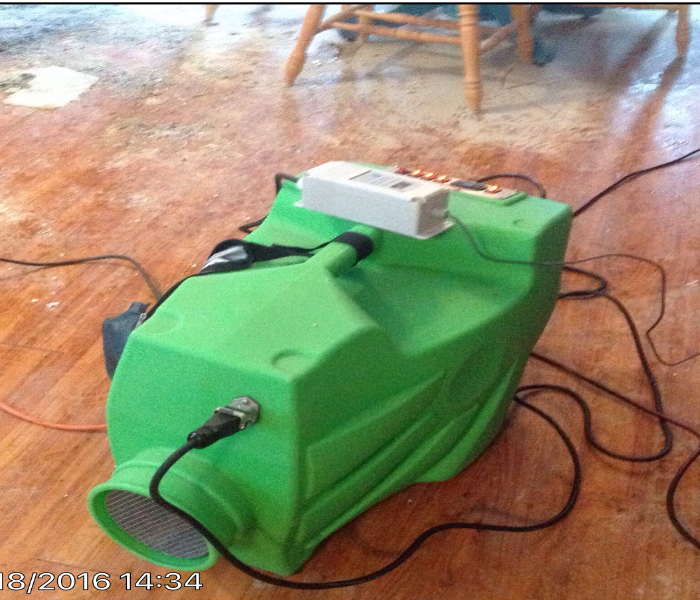 If mold is found, SERVPRO has the training, equipment, and expertise to remediate your mold infestation. This is a photo of our crews drying out a ceiling affected by water which damaged many of the customers belongings. The water damage came from the kitchen sink, it affected the kitchen and the ceiling in the basement. This is a photo of our crews drying out a ceiling affected by water. 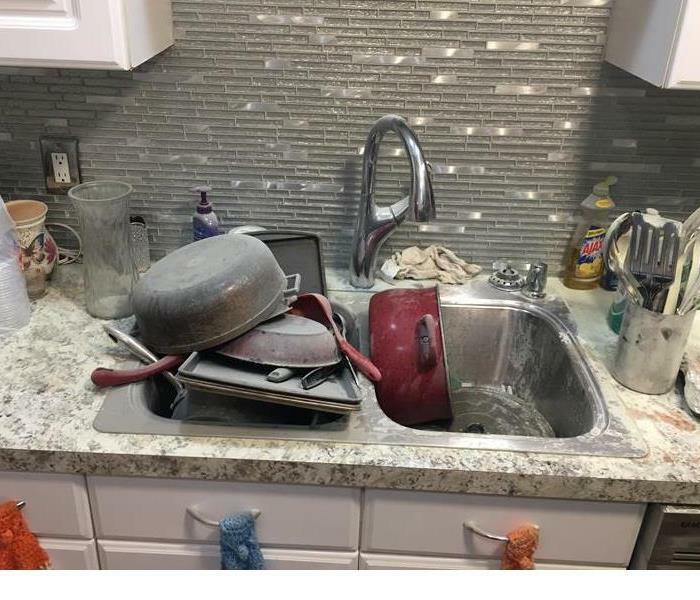 The water damage came from the kitchen sink, it affected the linoleum flooring in the kitchen and the ceiling in the basement ceiling below. Fire extinguisher powder is non-toxic, it is not entirely safe. 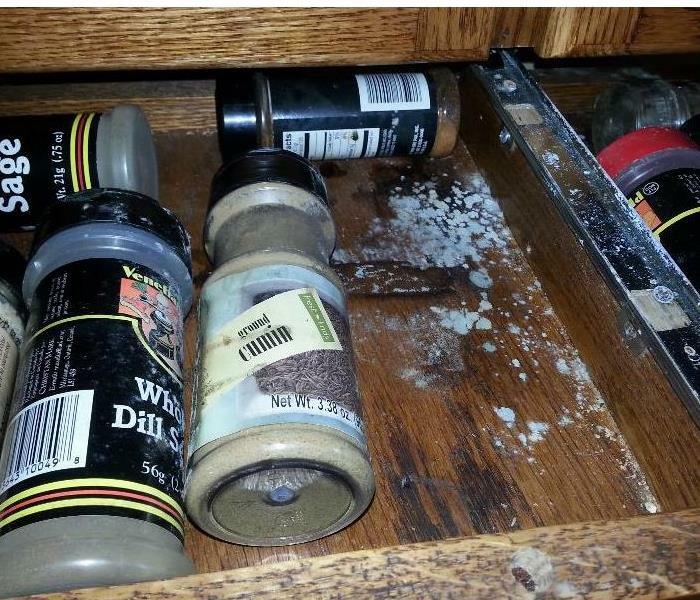 The chemicals used are considered appropriate for home use, but you should take precautions to avoid touching or inhaling too much of the powder. After a fire, the residue left by a fire extinguisher needs to be cleaned up. If you have sustained even a minor fire contact our office immediately at 716-694-7776 to begin the cleanup process. A dehumidifier is essentially a refrigerator that forgot to get fully dressed. Really. The basic mechanical function of a dehumidifier is the same as a refrigerator. Compression and expansion of a gas is used to lower the temperature of metal coils to freezing temperatures. However, instead of the cooling action being directed into a closed box, a dehumidifier is designed to blow warm moist room air over these cold coils. The moisture in the room air condenses on the coils to become liquid water. The water then drips into a drip collection pan, or to a drain. The room air, now freed of much of its moisture, returns to the room slightly warmer than it was. Winter is on its way . This week we are expecting heavy snow creating accumulation and blizzard like conditions. Please take caution on the roads and in your home. There are times a homeowner or business owner is forced to use a fire extinguisher. 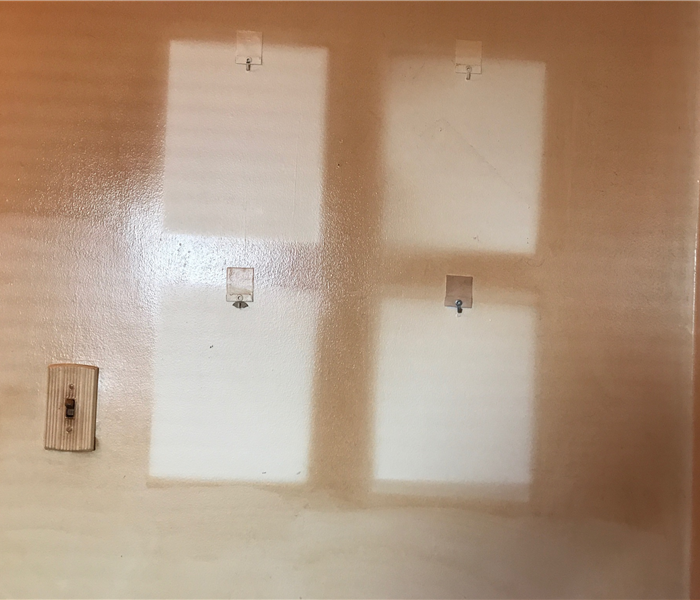 When it comes time for the clean up you should call in the professionals at SERVPRO of Eastern Niagara County to handle the job. The dry chemical will get all over the place and it can be overwhelming to take on personally, we are trained in environmental safety and will make sure the job is complete. At this job we used the HEPA Vacuum to clear the air, as well as the floor, shelves and furniture. The room that would have taken days to clean and sanitize took less than 4 hours. Nothing is worse than the experience of a leaky toilet. Chances are pretty good that you will deal with a cracked or broken toilet tank at least once in your life time. There are many reasons why your toilet tank may break, but generally it is due from age. 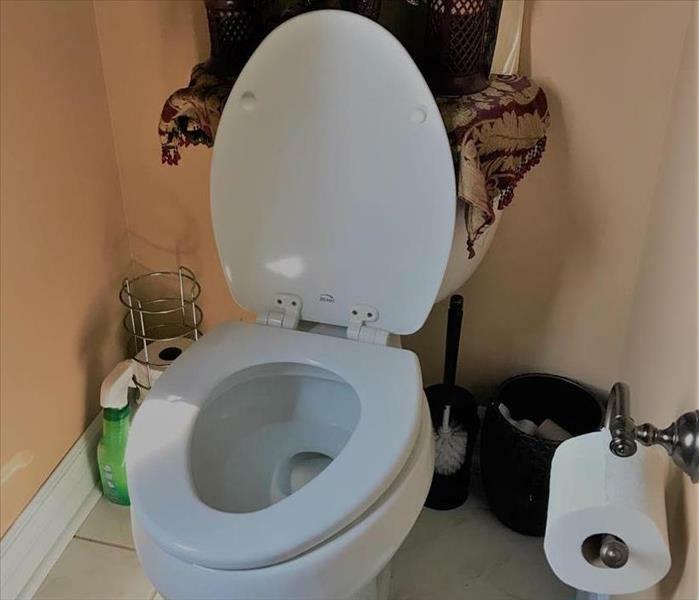 As a toilet gets older, it becomes more prone to cracking. If you suffer a water loss from your toilet contact SERVPRO of Eastern Niagara County at 716-694-7776 and let us help. 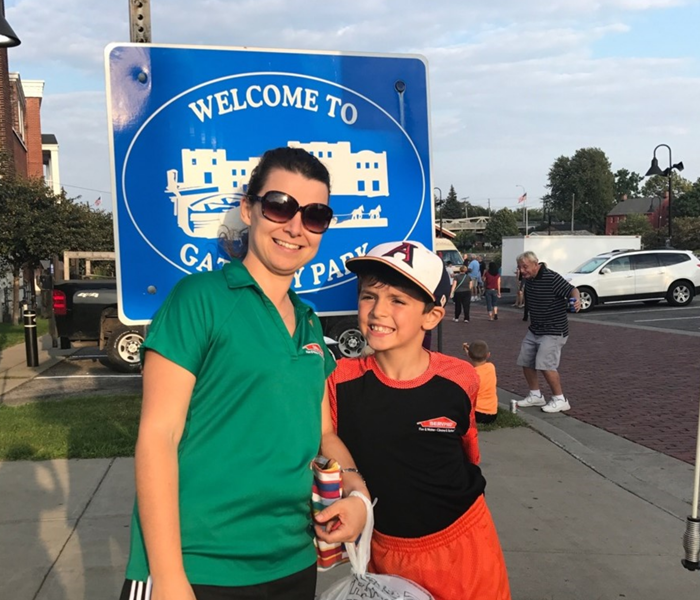 Our Sales Marketing Manager , Reanna, and her son attended the Pizza Fest hosted by the Chamber of Commerce of the Tonawandas. It was a great town event with Delicious food! Most often homeowners aren't aware that a hot water heater is about to fail. Most time you are met with water running out from under your foundation, or garage. If you have suffered a hot water tank loss, call SERVPRO of Eastern Niagara County at 716-694-7776 to assist with your water clean up. 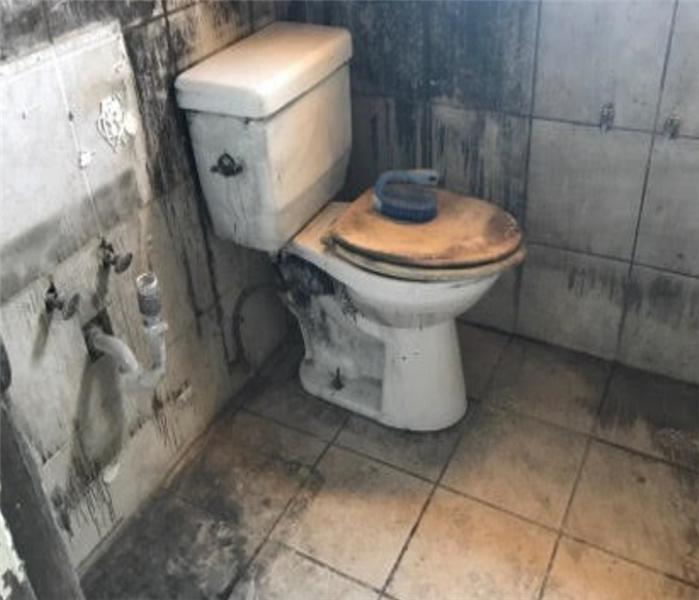 If you find that you have a mold issue in your bathroom, do not attempt to handle it yourself. 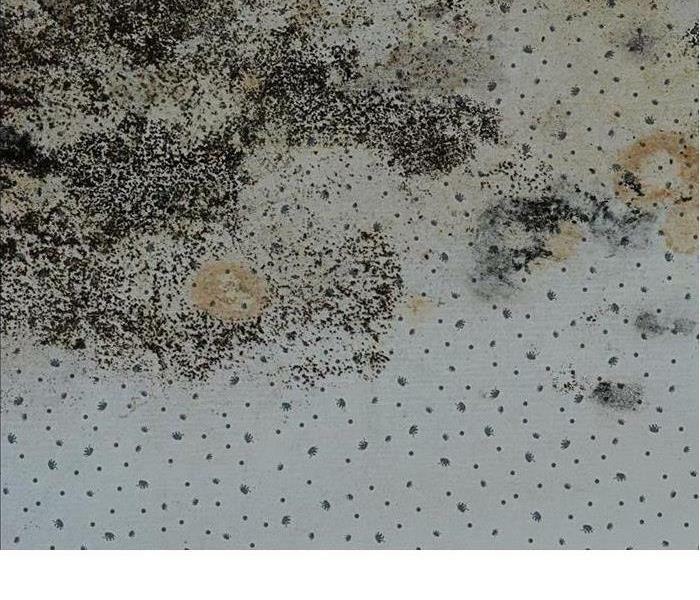 Disturbing the mold may facilitate its spread and contaminate other areas of your home or business that can be prevented. Spreading and cross contaminating your home or business could end up costing more money in the long run. Instead, turn to the professionals at SERVPRO of Eastern Niagara County. 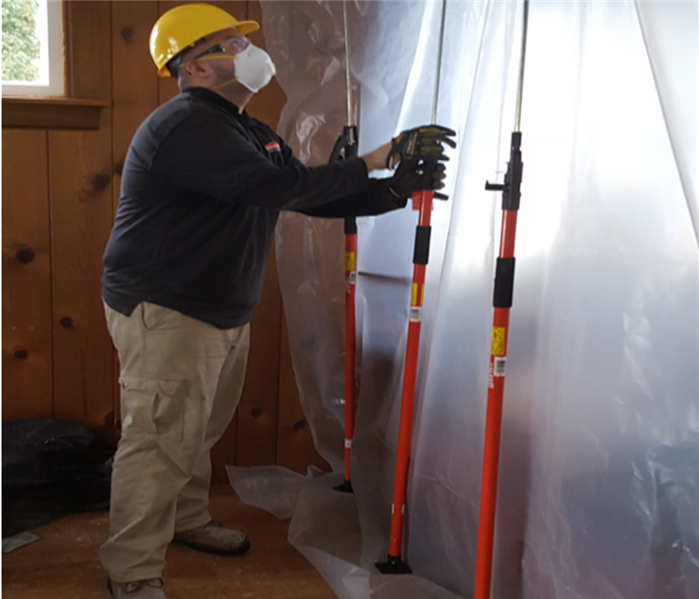 Our technicians have the training, specialized equipment, and protective gear to address mold damage. They can inspect the area, identify the source of moisture, contain the mold, remove it, properly cleanse your belongings and restore your home or business to a healthy environment. SERVPRO of Eastern Niagara County performed mold remediation services in this home. This particular picture is the growth that was present in the basement . 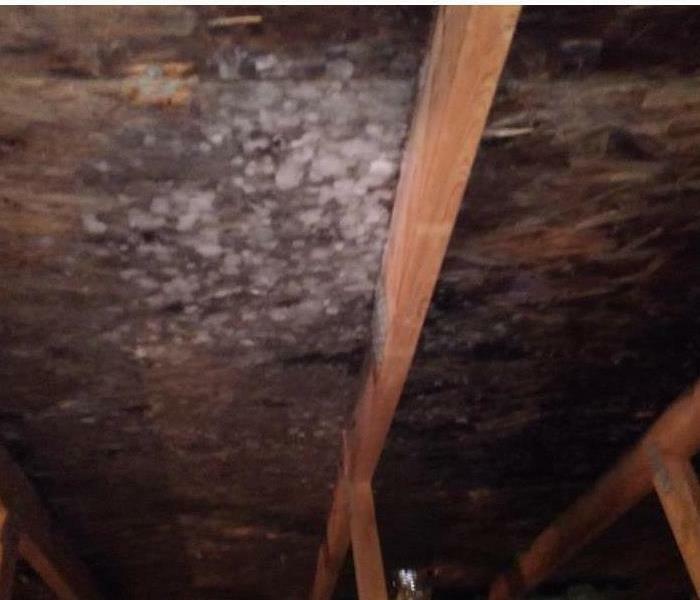 The homeowner had a water leak that he didn't know about until he saw the mold growth. When years of smoking has been done in a home it can leave behind a heavy odor and smoke damage. We are here to make it, "Like it never even happened®" with cleaning and deodorization. Our crews were on the scene if a electrical fire in a motel with very heavy soot. We had to remove the sink and vanity. We also deep cleaned the entire room to prep for painting . An important piece of equipment for professional water damage restoration is the air mover. An air mover is specifically designed and engineered to deliver a high volume of airflow over and under surfaces to expedite the drying process. They dry wet surfaces by causing increased evaporation due to air movement and are vital in avoiding prolonged drying time, the number one reason for extensive damage in water damage situations. 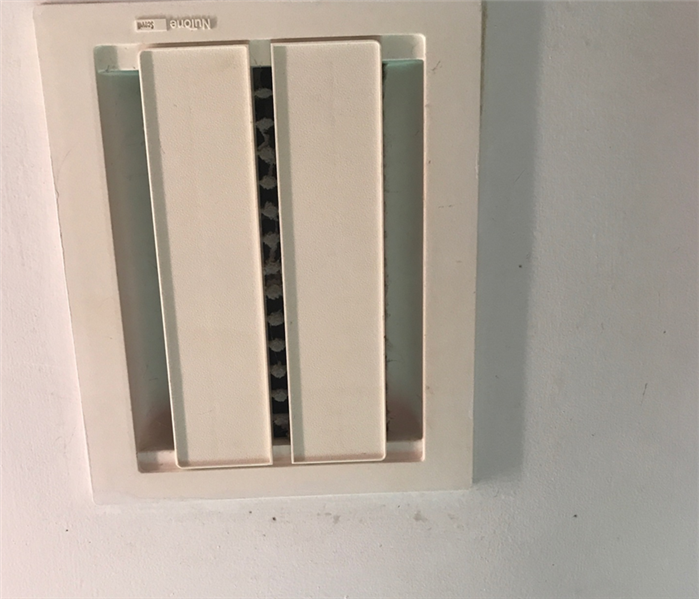 Increased airflow also inhibits the growth of microorganisms. 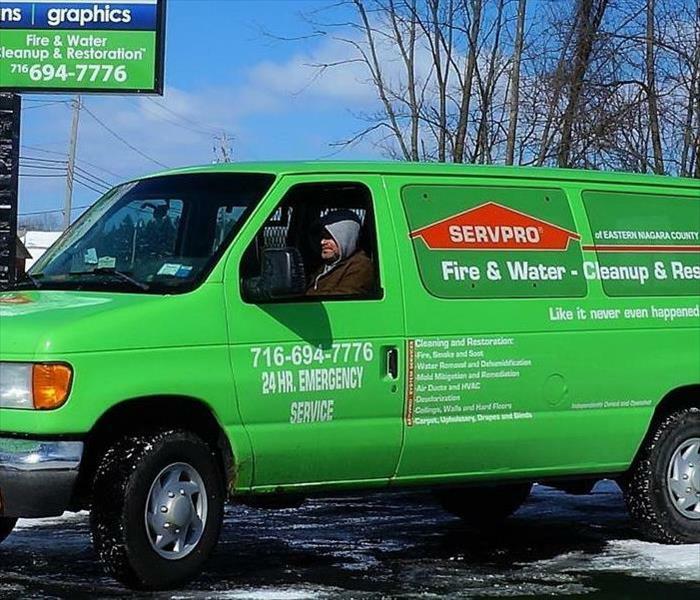 SERVPRO of Eastern Niagara County leader in smoke, fire, water and mold cleanup and restoration. We are an IICRC certified firm available 24/7 to meet any disaster in your home or business. We are here for you! Pictured : Air movers drying a structure in Niagara Falls, NY . The increased air flow helps facilitate drying time and lessening the chances for further damage. Winter Storm Stella blasted Western New York on Tuesday and Wednesday , providing much of the region with its biggest snowfall of the winter. If your residential or commercial property has suffered from water damage from this storm, please give us a call at 716-694-7776. 1- Within one hour from the notice of loss, a SERVPRO Professional will contact you to arrange for service. 4- Within four hours of loss notification, a SERVPRO Professional will be on-site to start mitigation services (if necessary). 8- Within eight business hours of on-site arrival a verbal briefing of the scope will be communicated to the appropriate person. We will Respond to your emergency needs quickly and Ready for whatever happens. 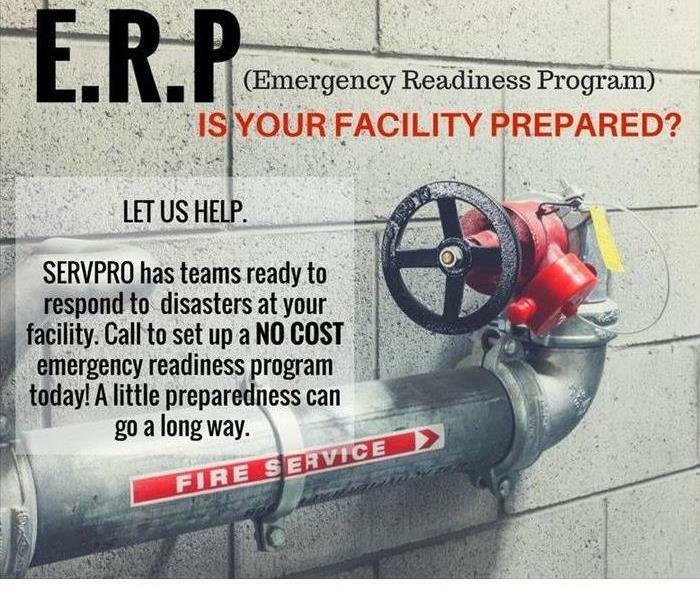 SERVPRO of ENC was called to a office/warehouse with a busted pipe. 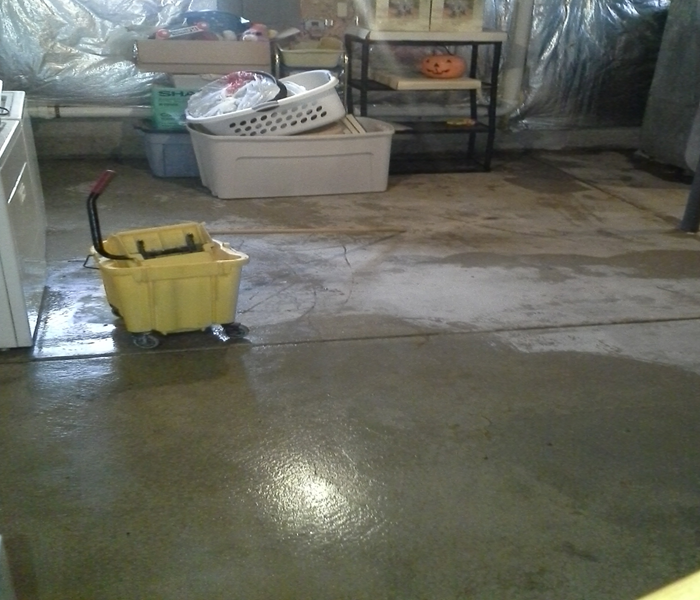 The crew properly cleaned and dried the area up. The company was happy on how the crew quickly resolved the situation. 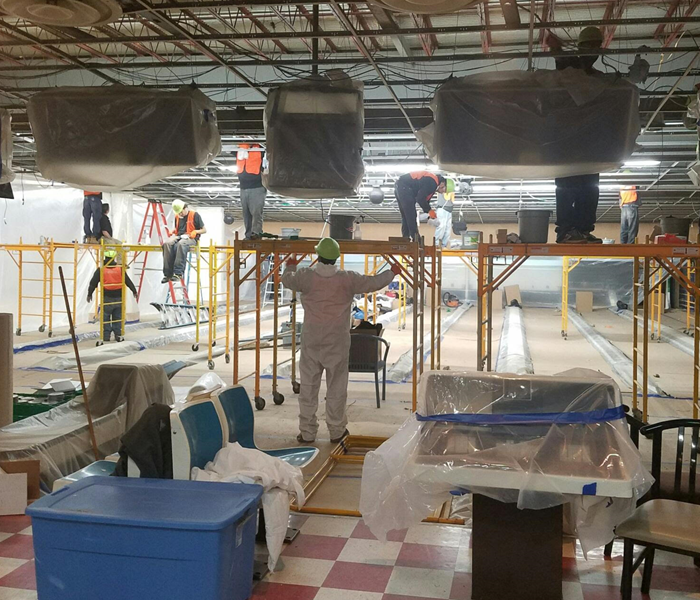 SERVPRO was called to a fire in a well known bowling alley in Niagara Falls, NY. The kitchen was in the fire and created fire and heavy smoke damage. The SERVPRO team did an amazing job. The owner was very happy with the service that was performed. 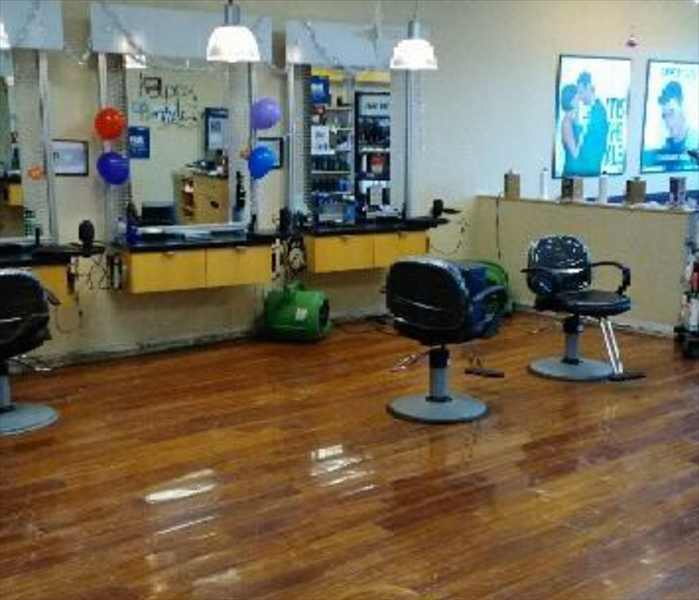 Our Crews were called to a beauty salon in Amherst, NY. The washing machine was clogged and had leaked. 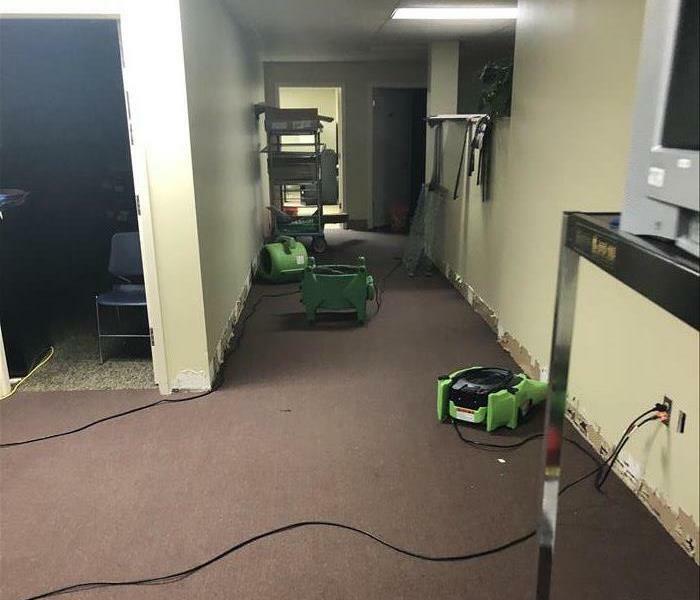 Our crews came in and extracting the water and set up air movers and dehumidifiers to properly dry out the business. Great job team! 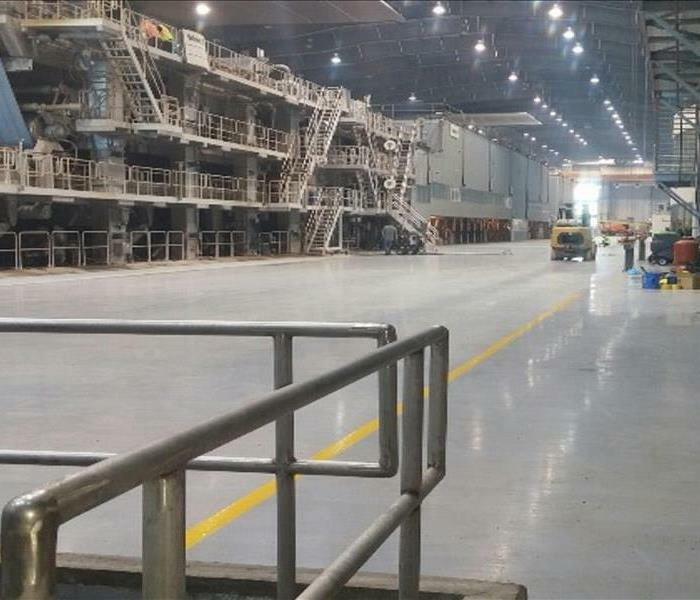 Our crews were called to clean up a warehouse before a grand re-opening. The warehouse was approximately 100,000 square feet. 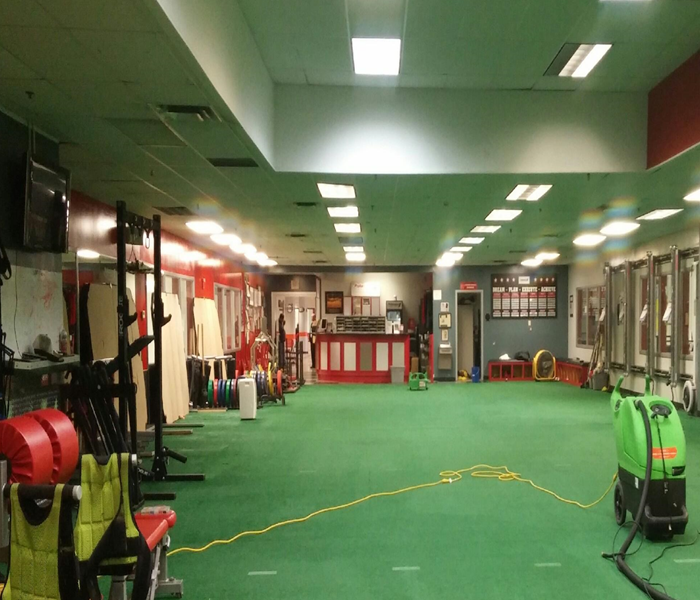 Our team cleaned the floors, guardrails, steps, office space, windows and some equipment. The conditions in the warehouse were extremely hot at times and temperatures reached 120 degrees Fahrenheit. We were very proud of our employees for doing a wonderful job especially under extreme heat conditions. The company was very pleased with the work that was completed. 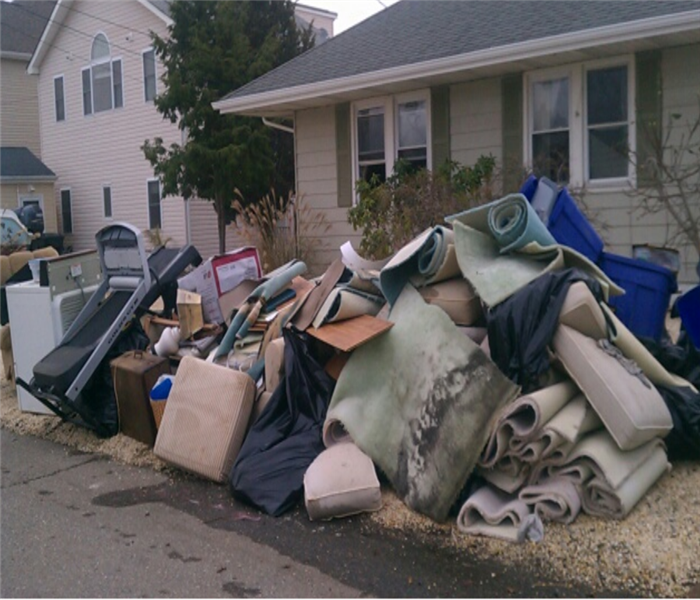 Our crews were called to Toms River, NJ for cleanup of the aftermath due to Hurricane Sandy. We spent many hours per day demoing residence of New Jersey homes. We also sprayed many homes with antimicrobial to help combat mold in crawl spaces. Our crews were called to a water loss job. A individual threw a football and broke a sprinkler head causing excessive flooding. The owner needed us immediately to extract the water from the astroturf so that he could get the business re opened. We extracted the water using a weighted extractor and also installed a few air movers to dry it up quicker. He was able reopen again at 3 P.M. that day. The customer was very pleased with the job. This pictures captures a heater that was placed in a customers home . This home was effected by a house fire. The heater was used to provide emergency temporary heat. The customers were very happy and warm. 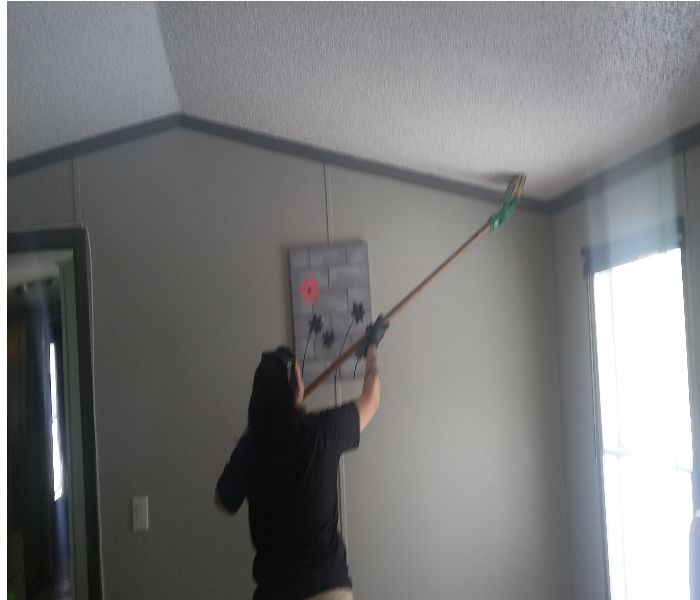 Robin, a crew member at SERVPRO ENC, is cleaning the ceiling after a home fire. She was using a magic scrubbing sponge to remove the debris and damage from the area. The owner was very happy that we were able to clean the soot from the ceiling. We make disasters " Like it never even happened". 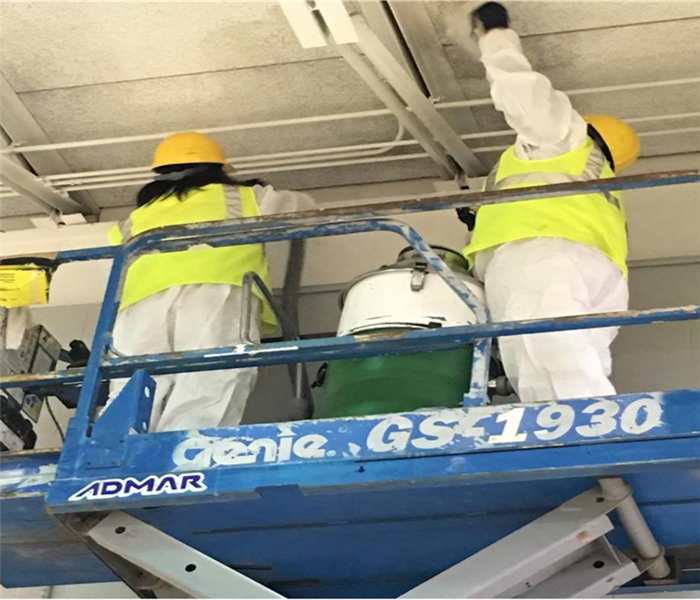 Our SERVPRO crew members are seen cleaning stains on the ceiling and walls of a school gym. They were up working on a scaffold approximately 20 feet in the air. Our crews did a wonderful job. A note from the customer : " Just a quick note to say thank you- Michelle , Robin and PJ were excellent ! Worth every penny!" Our Crew member is installing tension polls for containment barrier. The house suffered water damage.The polls keep the plastic sheeting from falling down and prevents cross contamination. This homes basement was effected by a pipe bursting , The water loss effected the basement ceiling and floors. Our crews have been using dehumidifiers and air movers to help dry up the area. The flooring has been damage too and may need to be taken out in the future. 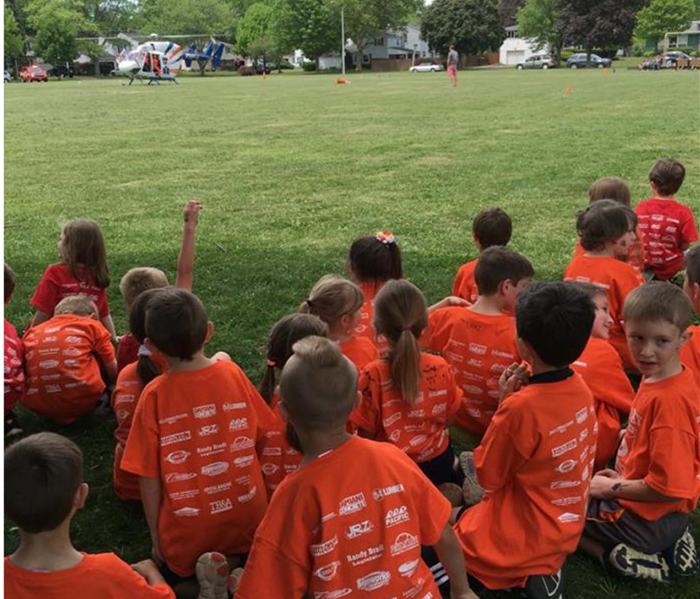 SERVPRO of ENC was one of the sponsors for the Ohio School Field Day on Friday , June 10th. The children had lunch served to them and played many carnival games. It great was a great time. 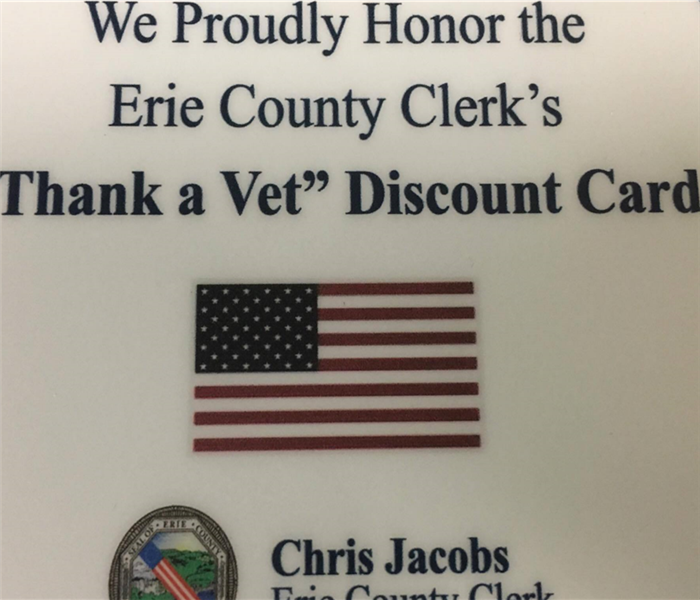 SERVPRO ENC particiapated in the Erie County Clerk's Office : Thank a Vet Program. The Vets can register for their "Thank A Vet" ID photo program by going to the Erie County Clerks Office . The program provides the Vets with discounts to local businesses. We are very thankful to the men and women of our Country who have given so much to help preserve the freedoms we all enjoy. 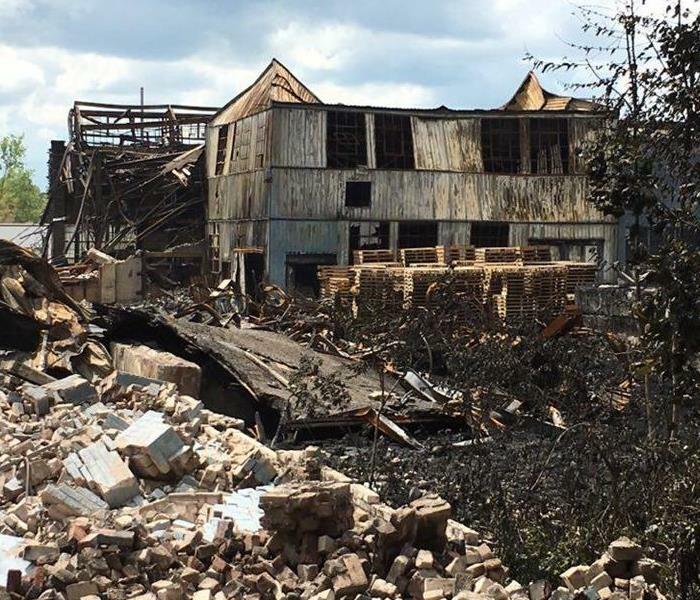 SEVRPRO of ENC has been out on the scene of the devastating fires in Lockport, NY. We have been helping many families get their lives back together. There has been many homes with smoke damage and odor. The residents of the neighborhood were very happy to have our crew out to help restore their lives. 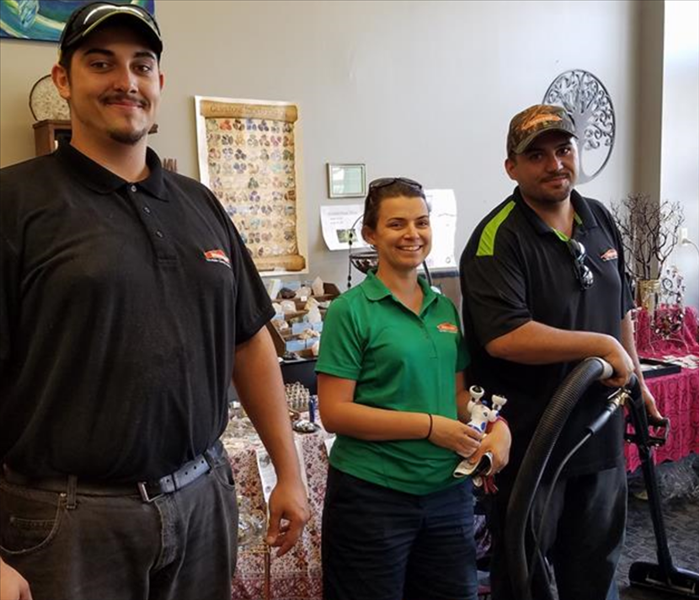 Our crews at SERVPRO ENC stepped in to help lend a hand in our community to a local shop that cares for baby kittens and stray cats ! 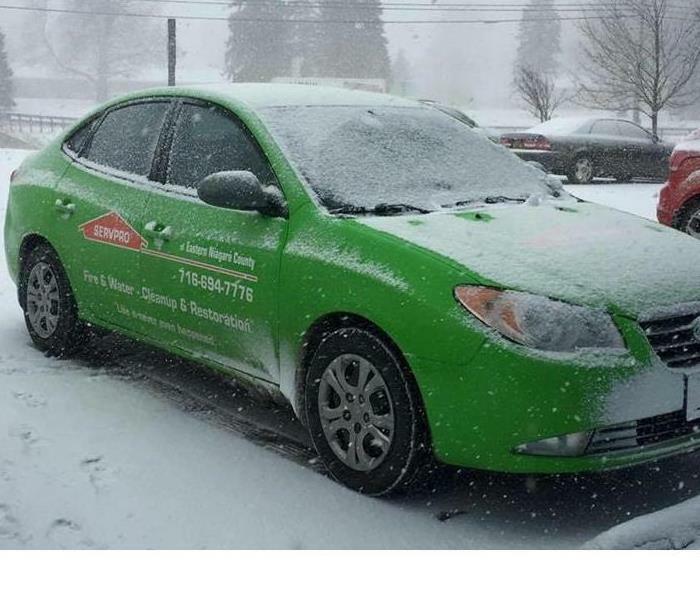 "Huge Thank you to SERVPRO of Eastern Niagara County! We had a kitten virus that we needed to clean up and they came out immediately to help us and were so kind to donate their service to the kittens! They were so professional and did an amazing job! I'd highly recommend you use them for any of your carpet cleanings, duct cleaning or emergency clean up needs. We are so blessed to have a business like that in our community!"